We are pleased to announce the Middlebury College 26th Annual Public Service Leadership Awards. 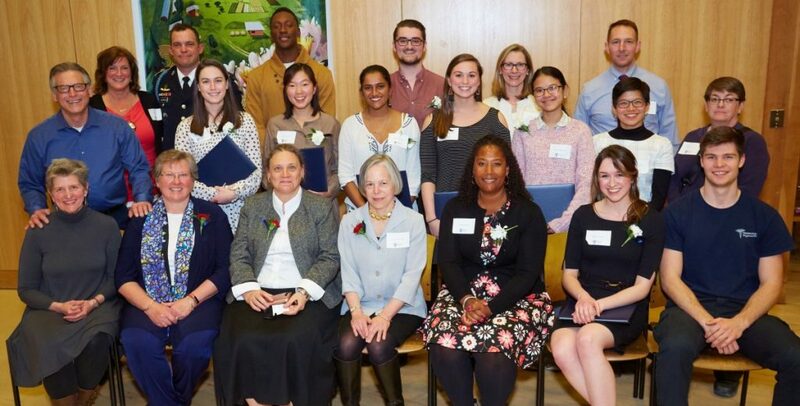 Public service takes shape in many different ways—through volunteering, activism, scholarship, social innovation, and advocacy—and these awards recognize our student body’s contributions to Middlebury College, the surrounding community, and beyond. We appreciate your collaborations with students to problem-solve, research, and strive to build stronger communities. We hope you will consider nominating a Middlebury College student for an award. For more information and to nominate a student, please click here. The deadline for nominations is April 11, 2019. Questions? Please contact Ashley Laux, Program Director, Center for Community Engagement at (802) 443-3099 or alaux@middlebury.edu. This entry was posted in Midd Blogosphere and tagged For Faculty, For Staff, Midd News & Events, Midd Points on March 29, 2019 by J. Ashley Laux. 2019 Friends of the Art Museum Award Nominations! The Friends of the Middlebury College Museum of Art invite you to nominate a current Middlebury College Student whose contribution to the visual arts in the community merits distinction. The Friends have made an annual award to a college student for approximately two decades. Recipients have included sculptors, filmmakers, painters, critics for The Campus, Museum volunteers, and founders of the M Gallery. Anyone [barring a relative of the nominee] can make a nomination. The award will be presented on Sunday, May 5, at Kirk House, at the Friends’ Annual Meeting and Awards Dinner. The nominator and winner will be guests of the Museum. 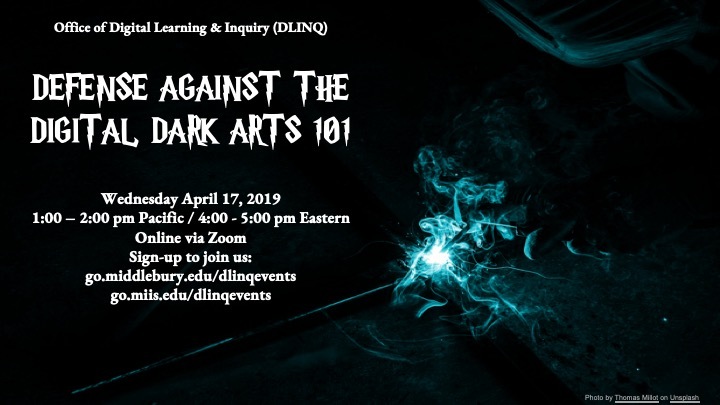 This entry was posted in Midd Blogosphere and tagged For Faculty, For Staff, Institutional News, Midd News & Events, Midd Points on March 27, 2019 by Marcia Lane. Sherre Kruft, Admissions Office III at the Middlebury Institute of International Studies, recently passed her 25-year mark of employment. Over the years, Sherre has been the bedrock of the Admissions Office for many years and was awarded the Institute’s Above & Beyond Award in 2009 for her many contributions to the Institute. Sherre took a few minutes to share her thoughts on “Life at the Institute” over the past two and a half decades. What did you do prior to coming to work at the Middlebury Institute and where were you located? I was in customer service in southern California and Monterey for about twenty years before joining Middlebury. What job titles have you held while working at the Middlebury Institute? Custom Language Services/Summer Intensive Language Program Administrative Assistant, Admissions Assistant, Admissions Officer. I really enjoy the constant learning aspect of international credential evaluation. The Admissions Office is ever evolving and changing in order to try to meet the needs of prospective students. 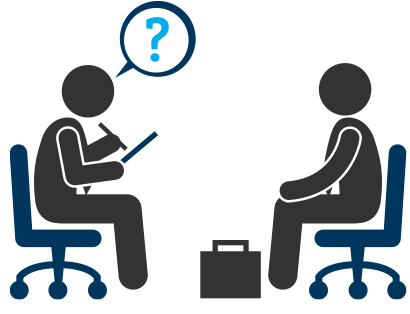 If you could give one piece of advice to a new employee at MIIS, what would it be? Use active listening skills and be kind. Is there anything else that you would like to share about your time at MIIS? I have had a wonderful experience here. There are too many people I have worked with and admire for different reasons to name. Our prospective students are amazing and awe inspiring. I love how they plan to make a difference in so many diverse ways. 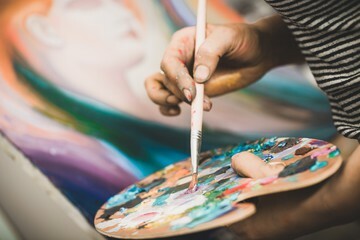 This entry was posted in Midd Blogosphere and tagged For Faculty, For Staff, Midd Points on March 20, 2019 by Barbara Burke. 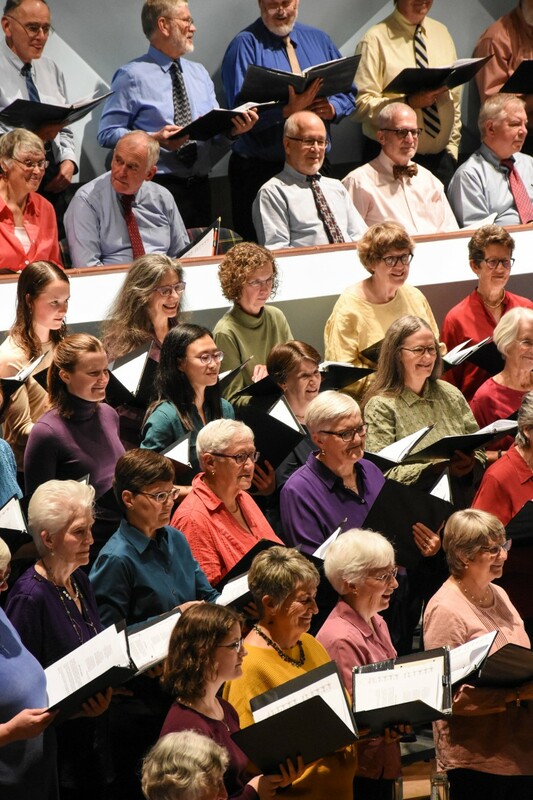 The Middlebury College Community Chorus announces a new season as its singers prepare for their annual spring concert, with an intriguing mix of pieces about time, seasons, and places. Regular rehearsals take place on Sunday and Tuesday evenings from 7:00-8:30 p.m. on the college campus, beginning January 27. Rehearsals from January 27 through February 12 take place at the Mahaney Arts Center (room 221). As of February 17, rehearsals move to Mead Chapel. Historic, traditional, and contemporary music from across the globe will fill the hour-long program slated for performance the first weekend in May. On this spring’s program, the choir will sing Gropen, a lively traditional Norwegian tune arranged for chorus with fiddle. Young Tradition Vermont award-winning high school student Romy Munkres from Cornwall VT will play with us. We also will perform Sunshine, an upbeat tune about blue sky and summer time, set by Irish composer Michael McGlynn. Also by McGlynn, we will offer Aisling, a quiet Celtic tune. Aisling means ‘dream’ or ‘vision’ and the work features a solo instrumental part that Romy will play. Kanaval, a festive, fun work by Sydney Guillaume (born in Haiti, now living in the U.S.) depicts mardi gras in Haiti with a mix of tunes and rhythms influenced by traditional Haitian culture. Hands are Knockin’ includes words in both English and Arabic, a song by Kyle Pederson (who earned a master of fine arts degree in Vermont), written for an international school in Muscat, the capital of Oman, that asks if we will open our doors to all people. In differing musical styles, we will prepare three newly composed songs with poetry by Sara Teasdale and Christina Rosetti, including Refuge, a radiant piece completed in 2015 by long-time Vermont composer Gwyneth Walker; Grace Before Sleep, a sensitive setting by Missouri-based composer Susan LaBarr; and The Rose,. a gentle tune with flowing piano accompaniment, by Norwegian-American composer Ola Gjeilo that portrays the picturesque beauty of this flower as it blossoms. The program includes splendid historic choruses from a little known work by George Frederic Handel entitled The Triumph of Time and Truth, including a “Hallelujah” chorus (though not the one that many people know from “The Messiah”!) We will also sing one of Handel’s most beautiful choruses, Music Spread Thy Voice Around. The choir invites new members to join us as we enjoy making music together. Participants should plan to attend at least one rehearsal each week. Numbering nearly 100 singers, the group welcomes without audition all who can follow a musical score and carry a tune accurately. Its members travel from throughout the region to participate in this 150-year-old community tradition, hosted by Middlebury College. Jeff Rehbach continues in his nineteenth consecutive season as director of the College Community Chorus, and Timothy Guiles returns as the choir’s virtuoso accompanist. For additional information, check on the web at go.middlebury.edu/communitychorus or send an inquiry to rehbach@middlebury.edu or 989-7355. This entry was posted in Midd Blogosphere, music and tagged chorus, community chorus, For Faculty, For Staff, Midd News & Events, Midd Points on January 24, 2019 by Jeffrey Rehbach. Trouble-free employee benefit plan administration requires a strong partnership between employees and Human Resources. The Human Resources Department works diligently each year-end to accurately process the thousands of required or requested benefit record changes and then to check and double-check our work. 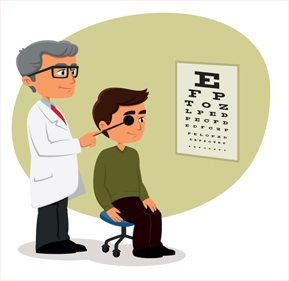 However, in the end, we also must rely on you, the employee, to do your part in managing your benefits by confirming that you are enrolled in the benefits you intended to elect. Please carefully review your first several paychecks and let us know if you have questions or if anything seems amiss. If you are a new enrollee in Medical or Dental or if you added dependents to your existing plans, CIGNA mailed individualized medical and dental ID cards to participants’ home addresses in mid-December. Otherwise, if your coverage is continuing unchanged from 2018, you should continue to use your previously issued CIGNA ID card. If you have lost or misplaced your ID card, please call Cigna customer service at 1-800-244-6224 and they will issue you a new one. As was announced on November 1, there were some increases to employee contributions toward medical and dental premiums for 2019. New premiums (if applicable) will be reflected in the first paychecks issued in 2019. Additionally, employees who made coverage level changes (i.e. from family to single) should see the premium deduction applicable to the new coverage level applied in the first paycheck. Please refer to the Middlebury or Monterey 2019 rates charts when reviewing your check. CIGNA’s website and mobile app are easy to use and provide convenient access to a wealth of information and services including: recent claims history, the ability to print temporary ID cards and to access virtual ID cards, provider network search, the ability to see real-time progress towards deductibles and out-of-pocket maximums, drug cost comparison tools, virtual explanations-of-benefits (EOBs), etc. To take advantage of these on-line services please follow the instructions in the MyCigna.com flyer. After registering, you can elect the paperless option and access your EOBs electronically. Your dependents may also register for their own portal…a great option for adult dependent children. The premium for the vision plan did not change. Participants who changed coverage levels during open enrollment (i.e. switched from single to family coverage) will see the resultant premium change in the first paycheck in 2019. At VSP you can learn how to use your benefits, create a log-in to access your personal account information, file an out-of-network claim electronically, and search for in-network providers. File 2018 Claims by March 31, 2019: If you participated in a Middlebury flex plan in 2018, please remember that any medical or dependent care FSA claims incurred through December 31, 2018 should now be filed for reimbursement. You may upload claims to the website or app or mail or fax claims (link to claim form) (do not use your Flex Card for 2018 claims). You should also make sure you have completed all substantiation requests. For assistance with substantiation, please contact customer service at 1-800-865-6543, M-F 8am-8pm (EST). Web Portal and Mobile App: The MyCafeteriaPlan website and mobile app are excellent sources of real-time information. If you have not previously set-up an account log-in, please contact customer service at MyCafeteriaPlan for assistance, 1-800-865-6543, M-F 8am-8pm (EST). Communications: You will periodically receive emails from MyCafeteriaPlan asking that you log on to the portal to access some updated information. The vendor alerts participants when substantiation may be needed through the portal. These alerts are also sent to remind you to log on and review your balances and recent activity. If you do not want to receive communications electronically (which will by default be sent to your Middlebury address), you must log on to request paper correspondence or call customer service at MyCafeteriaPlan. 1-800-865-6543, M-F 8am-8pm (EST). Balances: As of January 1, 2019, your health FSA balances visible on the MyCafeteriaPlan portal reflects your 2019 unclaimed elections in combination with up to $500 of the unclaimed balance from your 2018 health FSA account. While the amount eligible for rollover has already been added to your 2019 monies, you may still access that 2018 rollover PLUS the amount that did not rollover (which is subject to forfeiture) up until March 31, 2019 for 2018 claims. To see your 2018 balance, separate from your 2019 balance, look on the left side of the home page under the ‘Available Balance’ section. If you need assistance determining what you still have available to use for 2018 claims, please contact customer service at MyCafeteriaPlan. 2019 Claims Filing Options: Expenses incurred on or after January 1, 2019 may be paid using the MyCafeteriaPlan Flex Card, uploading claims to the website, app, mailing or faxing a claim form. Direct Deposit: If you would prefer to have reimbursements direct deposited, you will need to complete and submit a paper direct deposit form or enroll on-line through your MyCafeteriaPlan account on the web or mobile app. 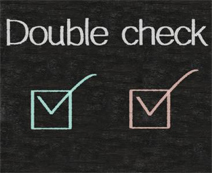 Policy regarding check re-issue requests: Please carefully consider the direct deposit option. If you receive your reimbursements via check, you will be responsible for any stop payment and re-issue fees in the event that the check is lost in the post or misplaced by you. Click here to review the policy. Flex Cards: All new 2019 FSA participants (who did not participate in 2017 or 2018) should have received FSA debit cards in late December. These blue Visa-branded cards, called ‘Flex Cards’, allow participants the option to access available FSA funds directly. Information about using the debit card with your FSA account can be found here. If you are a repeat user, your existing red or blue card continues to be your active card to use. You will not receive a new card at this time. If your cards are not received via post, or if they are misplaced or lost, they can be replaced for a $5 cancel/reissue fee. Please contact customer service at (800) 865-6543 for assistance. Substantiation: Using the Flex Card is convenient however do keep in mind that the IRS requires substantiation for most expenses paid by use of such cards, so receipts must be maintained. Participants will receive a message by MyCafeteriaPlan via their online account/portal if substantiation is required. Forfeiture: After the 2018 runout period ends on March 31, members will forfeit any unclaimed 2018 health FSA balances in excess of $500. 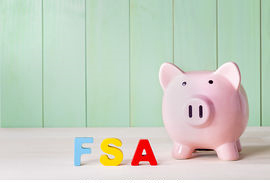 Excess 2018 health FSA funds up to $500 maximum will remain in participant’s Health FSA accounts to be used for 2019 expenses. Premium changes related to coverage amount increases or decreases should be reflected in the first paychecks in 2019. Voluntary Life insurance age-band changes (5-year increments) for employees will be reflected in the first paycheck in 2019, and in the second check for spouses. If you made changes for 2019 or you hit a new age band, please review the deduction details on both the first and second checks to confirm that your premium changed. Requests for new life coverage and/or for increases in life coverage over the guarantee issue amount are not effective until approved by UNUM. An Evidence of Insurability (EOI) form (paper or electronic) must be submitted by you to UNUM if you have requested this type of change. Notification to participants who require an EOI along with a link to the on-line EOI form will be distributed to affected employees during January. Upon review, UNUM will notify employees directly of approval or denial of coverage. Any premium changes will be made as of the effective date of the approved coverage. 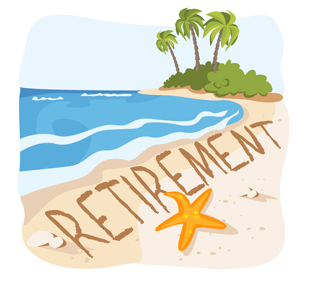 If you recently submitted forms requesting changes to your Voluntary Retirement Plan or to enroll in the 457b Salary Deferral Supplemental Retirement Plan, your new elections should be reflected in the applicable paycheck of 2019. If you requested changes, please confirm that your elections are as expected. If you have questions or concerns about your benefits, please contact the benefits department: Nancy Lindberg (nlindberg@middlebury.edu / 802-443-3372). This entry was posted in Midd Blogosphere and tagged For Faculty, For Staff, Human Resources, Midd Points on January 10, 2019 by Carolyn Dean.